It’s always just a few miles away, a constant presence giving our region abundant resources and wonderment. But what must be done to ensure we don’t take the world’s 11th largest freshwater lake for granted? 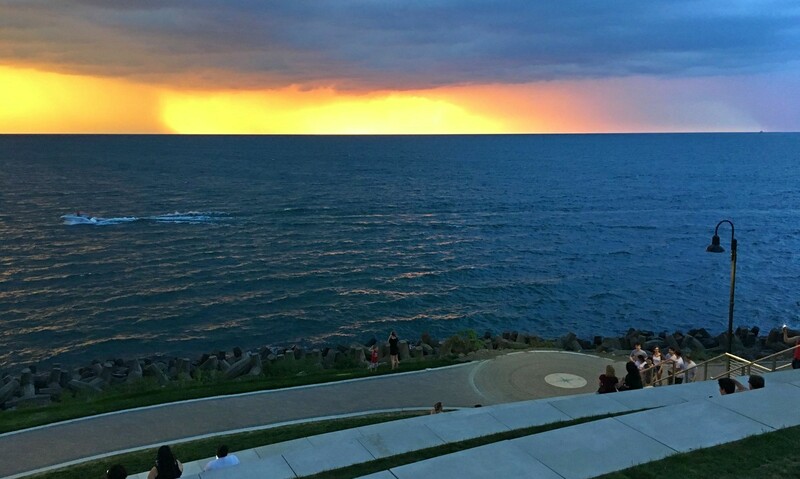 LakewoodAlive, a nonprofit community development organization, today announces it will host a community forum – entitled “A Deep Dive: Lake Erie Starts at Home” – from 7-8:30 p.m. on Tuesday, June 14, at the Lakewood Public Library Main Branch (15425 Detroit Avenue). The forum seeks to explore the monumental role Lake Erie plays in our lives, the issues facing our Great Lake and how we as citizens impact its water quality and overall health. Both the general public and members of the media are invited to attend this free community forum. The interactive discussion will address a big-picture overview of the Great Lakes’ importance on a global scale, as well as environmental concerns specific to the lake within our own backyard, such as the challenges we face with aging water and sewer infrastructure. Moderator Terry L. Robison, Ph.D. – Director of Natural Resources for the Cleveland Metroparks – will oversee a distinguished group of panelists for one hour of discussion. The final 30 minutes will be devoted to panelists fielding audience questions. Lake Erie is the world’s 11th largest freshwater lake by surface area. LakewoodAlive hosts community forums pertaining to topics relevant to Lakewood citizens. For more information regarding the “A Deep Dive: Lake Erie Starts at Home” community forum on June 14, please contact Ian Andrews, Executive Director of LakewoodAlive, at 216-521-0655 or iandrews@lakewoodalive.com.